APT was founded in 1992 by Richard Weinzierl, who is still steering the business today as Managing Director. We operate to a high standard in precision manufacturing to provide our customers with total engineering solutions across all industries. APT is an ISO 9001:2015 accredited company working towards Aerospace and Defence (AS9100) accreditation. Our Vision is to be recognised as the most efficient quality precision component supplier in the manufacturing industry. Our mission is to provide precision components through our state of the art manufacturing facility and dedicated team. 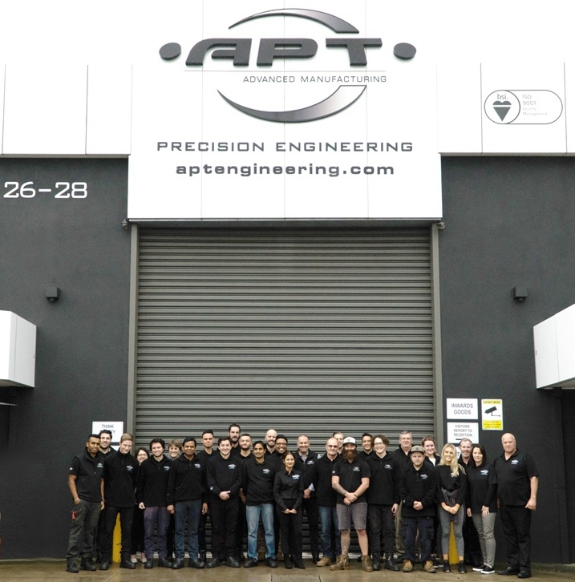 Over the years APT has become one of the top 5% industry leaders in Australia’s advanced manufacturing precision engineering industry.